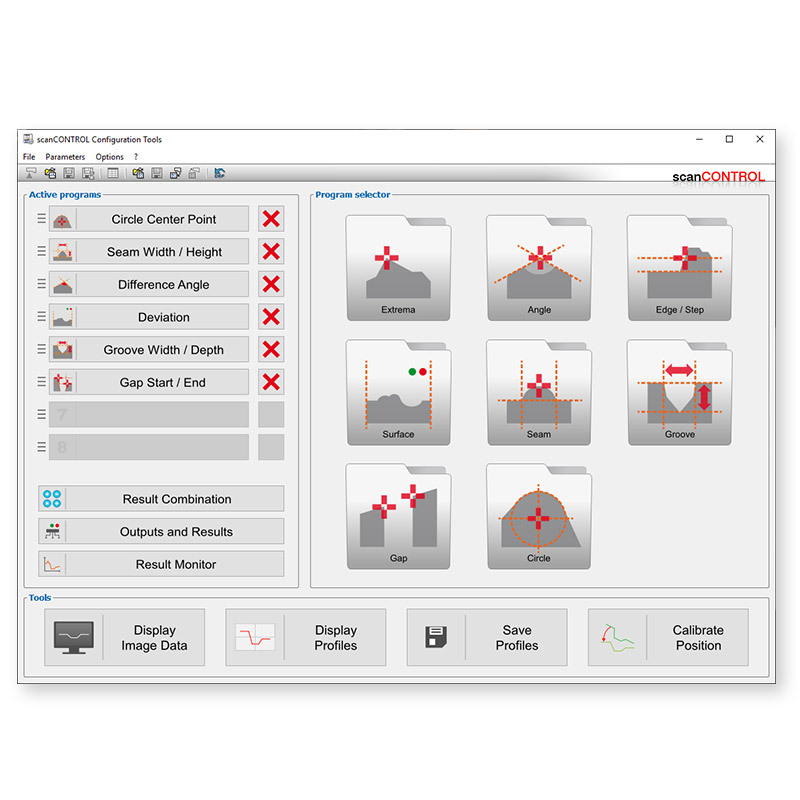 In combination with scanCONTROL SMART sensors, the Configuration Tools software unfolds its true power. It parameterises complex measuring tasks including all outputs via the corresponding interfaces. 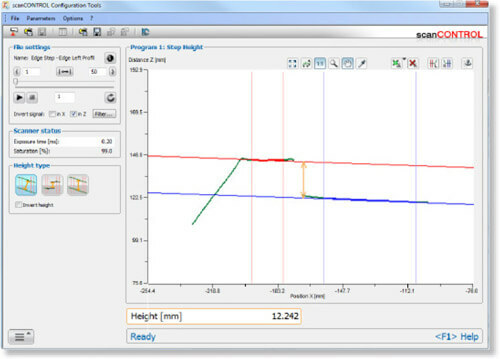 When used with COMPACT or HIGHSPEED sensors, the software simulates the algorithms even with loaded profiles. 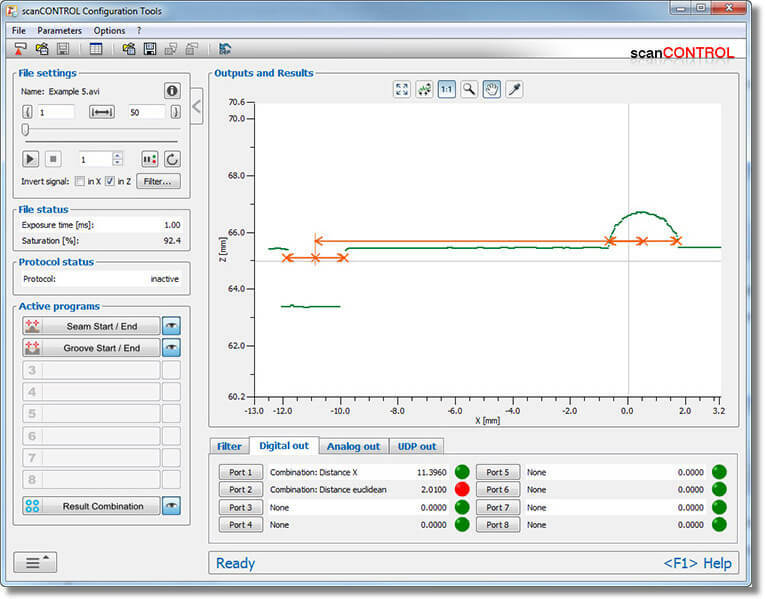 scanCONTROL sensors offer numerous parameterisation and setting options, which can be carried out using the scanCONTROL Configuration Tools software. It provides e.g. 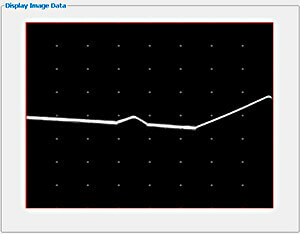 direct access to the image of the sensor matrix in order to achieve an optimum basis setup. The live image of the matrix is used to optimise the alignment of the sensor in relation to the target. One profile consists of up to 1280 calibrated measuring points depending on the sensor type. These profiles are transmitted via FireWire or Ethernet to the PC. scanCONTROL Configuration Tools provides the possibility to display or save these profiles in real-time. Especially for very fast processes it is an absolutely necessary feature, because it is also possible to load the profiles again and analyse the profiles step by step afterwards. For further analysis it is also possible to export the profiles into a format compatible with MS Excel. The SMART series sensors are equipped with intelligent controllers for basic profile evaluations without additional hardware. 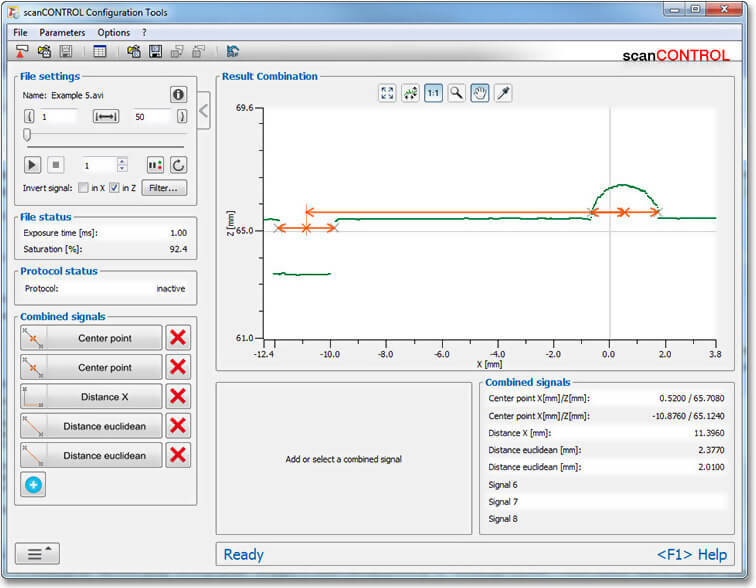 The Configuration Tools software is designed for easy parameterisation of SMART sensors. The idea is to divide a measuring task into separate measurements such as e.g. edge, angle, gap, groove or seam. These separate measurements are combined to complex measuring tasks on the graphical user interface and evaluated. Therefore, the user benefits from a Plug&Play solution for individual tasks without requiring any programming skills. From version 6.0 and higher, these measurement tasks can also be stored on gapCONTROL scanners. The user decides how to transfer the results from the sensor, e.g. via Ethernet UDP, Profinet or as digital OK/NOK signal, stores these settings in a complete parameter set in the head of the SMART (or gapCONTROL) sensor and can then disconnect the sensor from the PC. The profiles are then analysed directly on the sensor without PC.